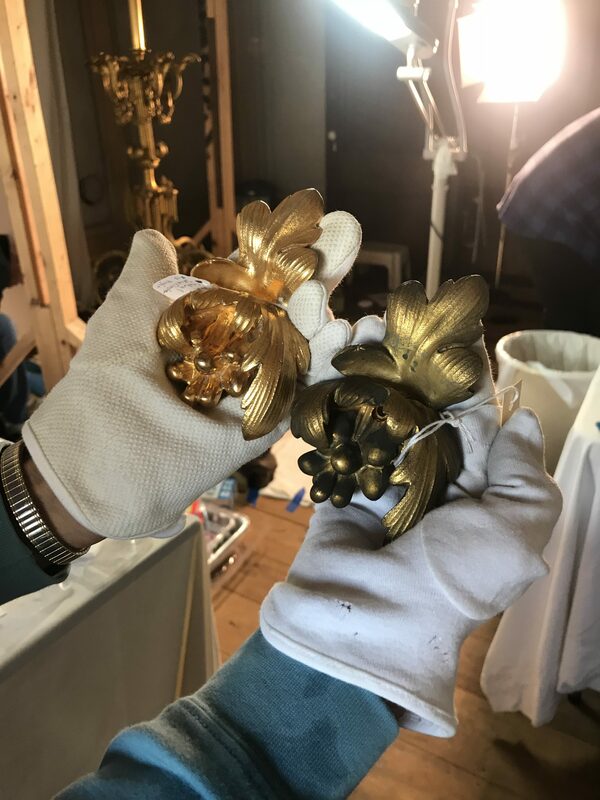 Conservators Siobhan Lindsay and Harper Batsford, and volunteers John and Eunice Wilcox are currently working to conserve the Reception Room’s original, monolithic gilded bronze gasolier (gas lighting fixture). 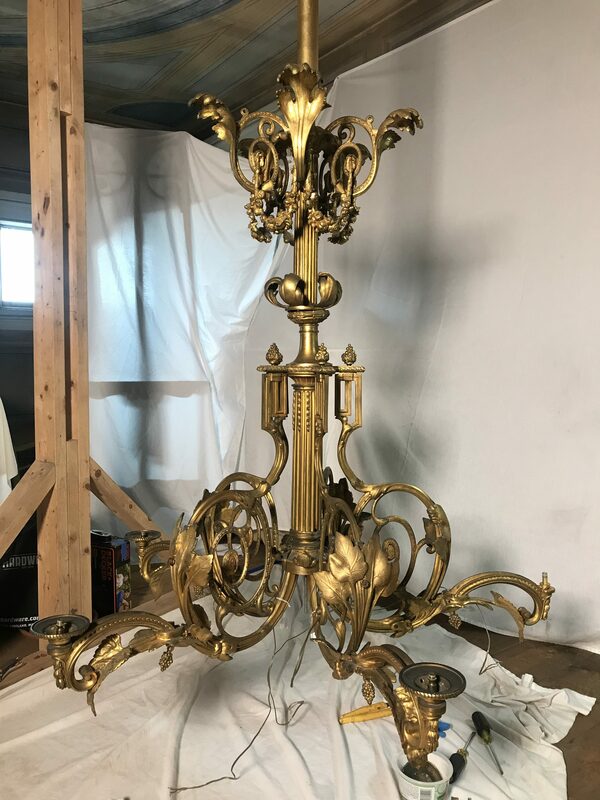 The first step in this arduous process is the careful dismantling and labeling of each piece of this elaborate Rococco-inspired fixture, a total of 225 pieces in all! Throughout the fixture, there are elaborately cast grapes and grape leaves (a stylistic nod to the Bacchanalian references throughout the Reception Suite), acanthus leaves, and a myriad of other classical elements. Once dismantled, the pieces are meticulously cleaned and soaked in an organic acid solution to remove gas fume residue and over 150 years of soot and grime from the original coal heating system. After they have been soaked, pieces are then thoroughly rinsed and dried in a low temperature oven to evaporate any residual moisture. The photo at left shows the dramatic before and after of this careful process, which was formulated by consultation with other conservation experts. Check back soon for updates on the process and when you can visit the Mansion to see the conserved gasolier reinstalled!